Blowing out a tire can be a terrifying experience, so we hope your tire is flat because of the slow leak. Maybe you have a nail in your tire and it is an easy patch and hopefully you have a spare ready, but no matter what we can assist you if you have a flat tire. 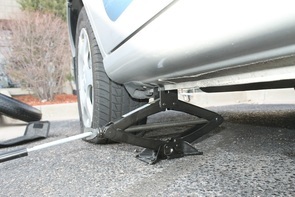 Our technicians are happy to help with a quick tire change or help haul your vehicle to a service station if needed. Macon Towing Company has been locally owned and operated for years, so we know all the tire shops in town. If you need help finding the right service center just ask our technicians and they’ll be sure your car or truck is towed there quickly and safely. But remember, all you need is help changing a spare tire we are happy to do what it takes to get you back road. Need to make it to a local tire store in Macon or surrounding areas? Our tow truck service can take you anywhere, anytime.